No one wears watches anymore. They've become as much of an anachronism as cursive handwriting whose death occurred in less than a generation. The next to go will be time itself. In essence who needs it? Time is a little like Newtonian physics, something you hold onto for the sake of practicality. 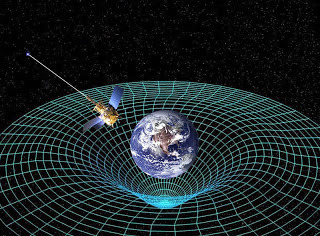 You aren't going to trust your life to relativity theory or quanta, especially since no one has solved the vexing problem of a unified theory between the macro and micro worlds. However, time is, nevertheless, on the verge of obsolescence, nudged gently into oblivion by space. The Roman Numerals on antique clocks will soon be Greek to many people. The pragmatist says of course we need time. Without it, how will I get to my doctor's appointment? How will I get to the church on time? The answer is that much of life will be lived in the head since the idea of teleportation will become a reality. People who are crippled by ALS are still able to communicate thoughts to computers using BCI or Brain Computer Interface which transcribe with the same tools that are used in voice recognition. It won't be long before you will only have to think something to make it happen. And, yes, about that toothache? You won't need to get to your dental appointment on time, since your dentist will be able to fill the cavity remotely using the same process that jurors will employ to come to their verdicts: thought.